We are a credible Sameera Lemon Face Pack Manufacturer, Exporter and Supplier. 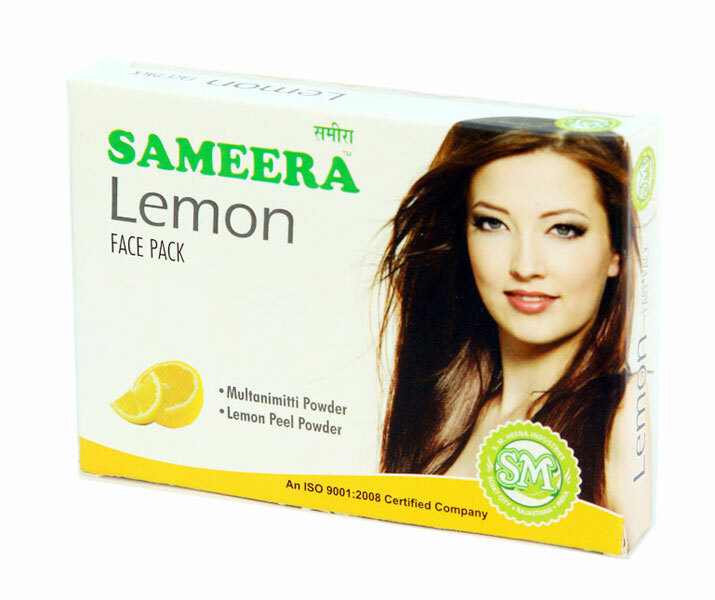 Sameera Lemon Face Pack is prepared using lemon extracts and other natural ingredients in the accurate proportions. The Sameera Lemon Face Pack is greatly used for attaining fresh and bright skin. Also, Sameera Lemon Face Pack is very effective in fighting acne or pimples. Our 100% natural Sameera Lemon Face Pack comes in a pack of 100 grams at very feasible prices.